Find Plastic Bags, Polybags, Packing Materials on Industry Directory, Reliable Manufacturer/Supplier/Factory from China. Automatic Stretch Film Packing machine is mainly used for the packaging of big cargo or pallet that needs to be transport or stored. The pallet load/cargo is loaded onto the rotating turntable, which carries the pallet/cargo rotates so as to wrap the goods around. It is widely used in glass products, hardware, electronic appliances, paper-making, ceramics, chemicals, food & beverages, building materials and so on. This type of Auto Packing Machine is high in packaging efficiency, anti-dust, anti-moisture and reduce the labor cost & material cost. 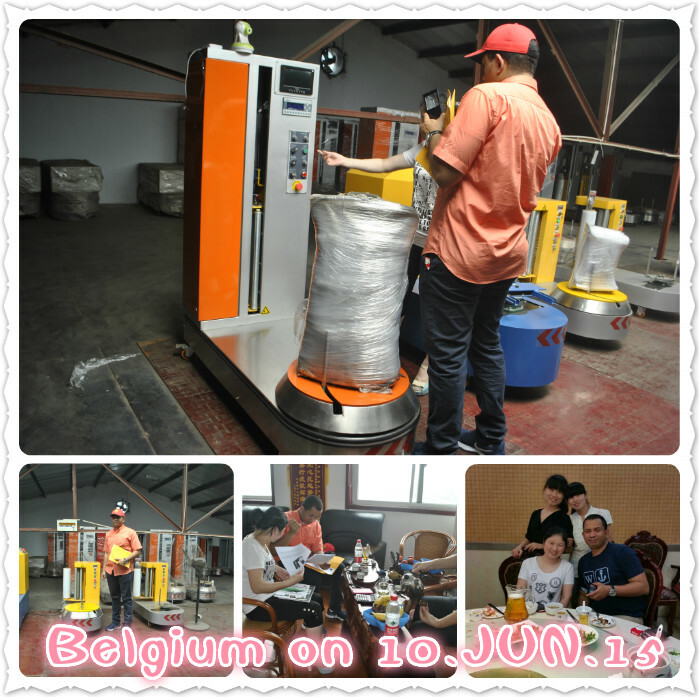 Customized Wrap Packing Machine available. High sensitivity emergency brake system, auto reset. Pre-stretch film carriage, stretch ratio up to 250%, automatic film feeding & adjustable speed. Chain structure, speed variable frequency adjustable. Start wrapping from top of the pallet, then wrap to bottom, and finally come back to the top of pallet to cut & seal film. 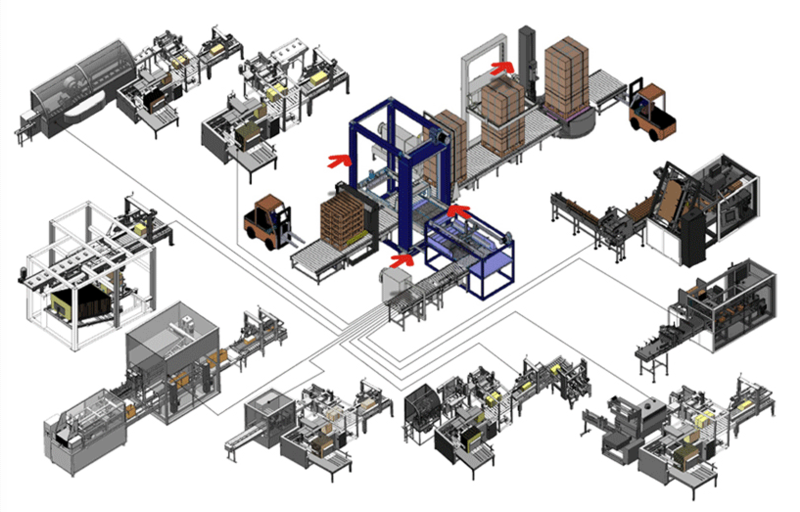 Shandong Dyehome Intelligent Equipment Co., Ltd. is a professional manufacturer specializing in the designing, manufacturing and marketing of packaging machines. 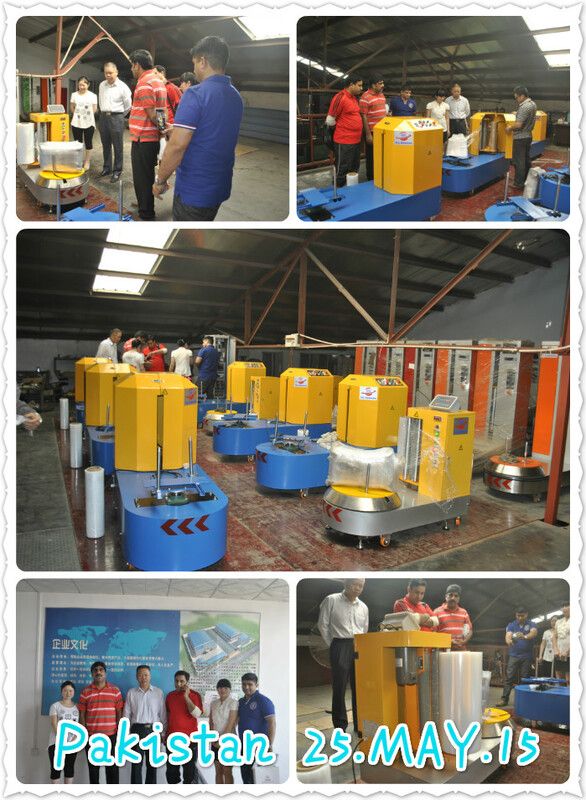 With years of professional experience and continuous research and innovation, we can design many kinds of wrapping machines according to the customer's requirements. 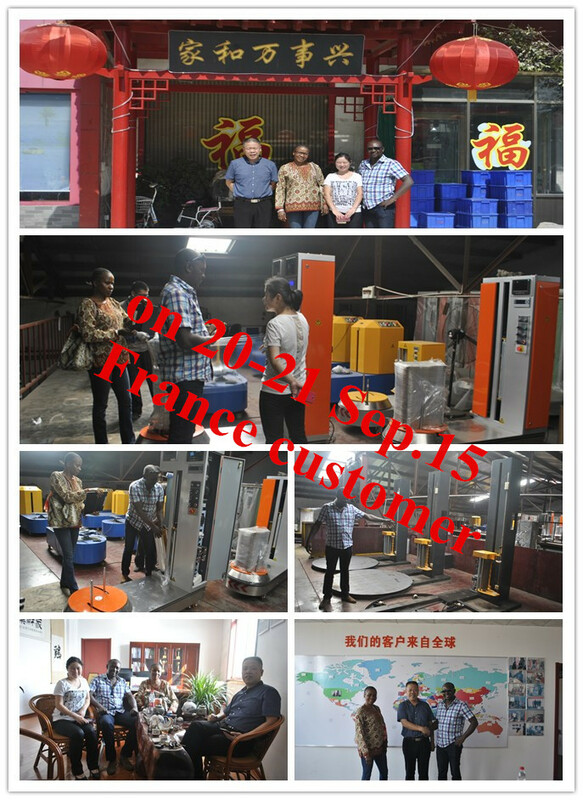 With competitive price, high quality and sincere service, our products have won a good reputation both at home and abroad. 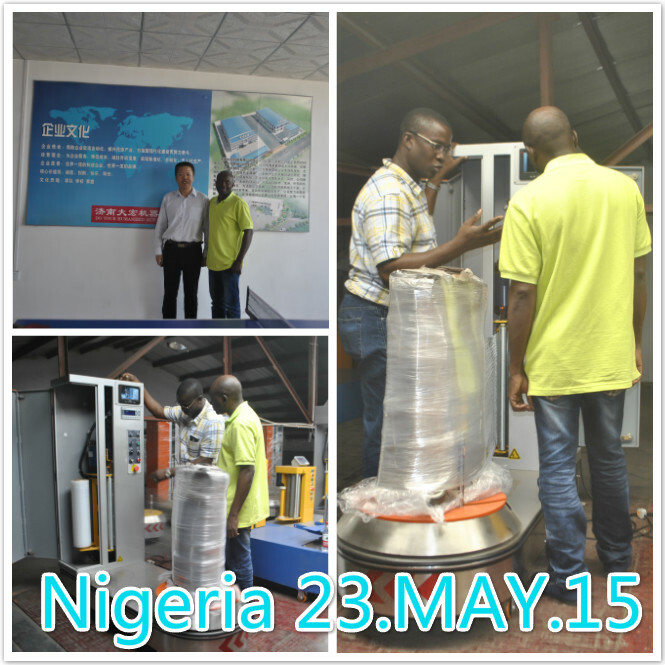 We have mastered advanced technology and can provide whole terminal packing solutions for customers. Our qualification for your reference: *Expert manufacturer with more than 10 years' experience in the field *Can provide high-quality products *Can provide update and powerful technical support Products available: stretch wrapping machine, pallet wrappers, metal coil wrapping machines, steel pipe wrapping machines, copper coil wrapping machines and Other such as packagers, sealing machines, carton sealing machines, stretch wrappers, shrinking packagers, PET tapes, PE tapes, and stretch films. We can provide high quality products at competitive price. We welcome your inquiry and will serve you with full sincerity. Company Name: Shandong Dyehome Intelligent Equipment Co., Ltd. 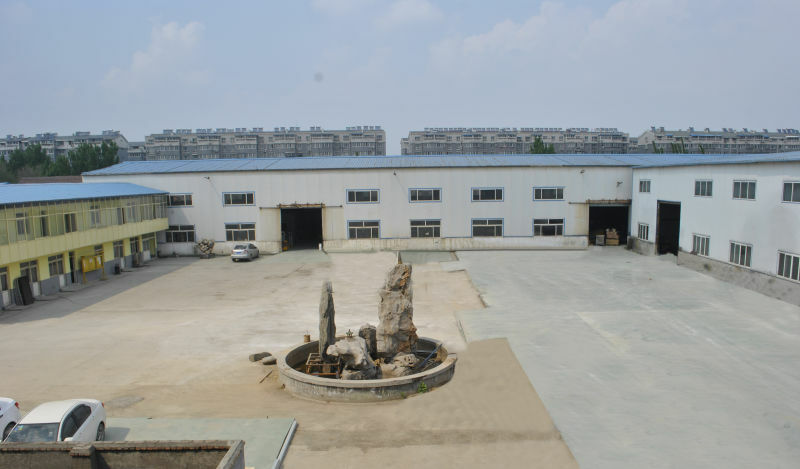 Factory Location: No.2,Xinsha street 2.xinsha industrial park,Sushan road,Huaiyin district. Copyright © 2019 www.gdpolybags.com All rights reserved.